J.TEST is a Japanese language skill test administered by the authorities in Japan. J.TEST was first introduced in 1991 as a test of practical Japanese. J.TEST is designed to measure Japanese proficiency of non-native Japanese speakers. J.TEST is administered in over 50 cities inside and outside Japan. In addition to six (6) Open Test dates throughout the year, we also have IP Test (Institutional Program) for companies and schools. Over 400 companies, schools and organizations use J.TEST. “Business J.TEST” focuses on business and is aimed at those who score at the highest level. J.TEST has four (4) tiers/levels: 1. “G level test” - for beginners, 2. “E-F level test” - for elementary level learners, 3. “A-D level test” - for intermediate and advanced learners, and 4. “Business J.TEST” - for the highest level learners of Japanese. Consistent degree of difficulty in each test and more chances to challenge again. J.TEST is well designed to keep the degree of difficulty consistent in each and every test, and scheduled six (6) times per year. If you take the test more than one (1) time, you will know how far your Japanese proficiency has improved. J.TEST measures practical and pragmatic Japanese proficiency. The Listening Test is heavily weighted and includes many practical expressions from real life. J.TEST is capable of measuring a more advanced level of Japanese communication than the JLPT N1. The A-D Level Test measures a higher level of communicative proficiency than N1 for JLPT (Japanese Language Proficiency Test). Certificate will be issued and delivered to the individual examinee who scores the predetermined points or greater in each level. Every single examinee will receive the score report and reference materials. 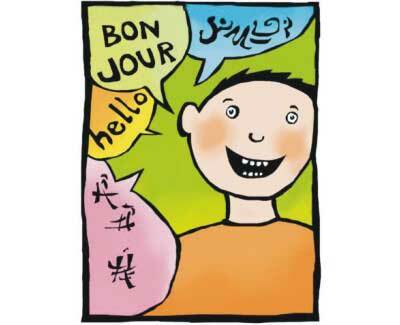 Daffodil Institute of Languages (DIL) / Why do we learn foreign languages? Daffodil Institute of Languages (DIL) / Learn languages & increase your opportunities!!! Daffodil Institute of Languages (DIL) / Admission going on for new batch of Spoken English course !!! Daffodil Institute of Languages (DIL) / Design your career with new skills !!! Daffodil Institute of Languages (DIL) / Be prepared to grab the best opportunity !!!! Daffodil Institute of Languages (DIL) / !!! আরবী ভাষা ও কুরআন শিক্ষা কোর্সে আমন্ত্রন !!! Daffodil Institute of Languages (DIL) / Arabic language course commenced at DIL !!! Daffodil Institute of Languages (DIL) / Learn Languages, Meet the Success !!! Daffodil Institute of Languages (DIL) / Language Learning Opportunity at DIL !! !